New and Used Ultrasonic Cleaners are for Sale at The Dr’s Toy Store. Buy Ultrasonic Cleaners now for the Best prices. Ultrasonic cleaners are equipment which is used to clean several parts of objects, including jewelry, lenses and other optical parts, watches, dental and surgical instruments, tools, musical instruments, gramophone records, parts of industrial and electronic equipment among others. Simply fill the cleaner with the appropriate ultrasonic cleaning powder (available separately), mix with water and select a preset cycle. The ultrasonic cleaner works with or without heat and has a clear-view window in order to see the cleaning action of the equipment. As stated above, ultrasonic cleaners have been found to be useful in many places such as hospital settings, jewelry workshop, watchmakers’ establishments, and electronic repair workshops. This ultrasonic cleaner facilitates the cleaning of items such as hardware, fasteners, and small metal parts, and even jewelry. It is generally believed without a doubt that ultrasonic cleaning is the fastest, most consistent and safest method for cleaning instruments and components. But as ultrasonic cleaners emit high pitched sound, they have not been alleged of being quiet … until now. Midmark Soniclean Ultrasonic Cleaners are the quietest in the healthcare industry. They are quiet, powerfully quiet. 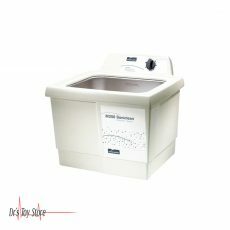 This is a digital ultrasonic cleaner that uses ultrasonic waves to clean certain medical products. 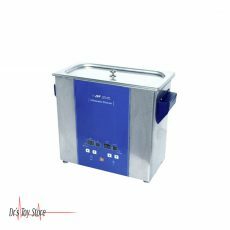 The ultrasonic cleaner makes use of different levels of ultrasound which are used depending on the products to be cleaned, generally between 20 and 400 kHz; Items are put inside an ultrasonic cleaning machine containing water or ultrasonic cleaning solutions. 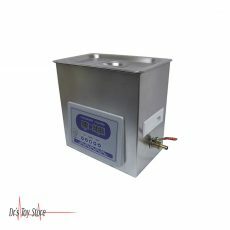 There are ultrasonic cleaners that can be used on a very large scale for factory equipment or large machines, but this ultrasonic cleaner is smaller and can focus on smaller objects like jewelry, lensesm dental equipment or even rare coins. This process eliminates contamination such as grease, oil, dirt, and waste, without causing harm to the object.